How bad is America doing when it comes to retirement savings? The Government Accountability Office looked into the question, and its answer is sobering. A new GAO analysis finds that among households with members aged 55 or older, nearly 29 percent have neither retirement savings nor a traditional pension plan. "There hasn't been a significant increase in wages, people have student loans and other debt, and many are continuing to struggle financially," said Charles Jeszeck, the GAO's director of education, workforce and income security, which analyzed the Federal Reserve's 2013 Survey of Consumer Finances to come up with its estimates. "We aren't surprised that people have not saved a lot for retirement"(click on image below). Even among those who do have retirement savings, their nest eggs are small. The agency found the median amount of those savings is about $104,000 for households with members between 55 and 64 years old and $148,000 for households with members 65 to 74 years old. That's equivalent to an inflation-protected annuity of $310 and $649 per month, respectively, according to the GAO. "I don't care what anyone says. That's not enough income for retirement," said Anthony Webb, senior research economist at the Center for Retirement Research at Boston College, who reviewed the GAO report. Social Security remains a fundamental part of most Americans' retirement plans, with benefits providing most of the income for about half of households age 65 and older, according to the GAO. The agency studied the level of Americans' retirement savings at the request of Sen. Bernie Sanders of Vermont, an independent who is seeking the Democratic nomination in the 2016 presidential election and is also the ranking Democratic member on the Senate's subcommittee on primary health and retirement security. Estimates about the size and scope of the retirement savings problem vary widely, the GAO found. 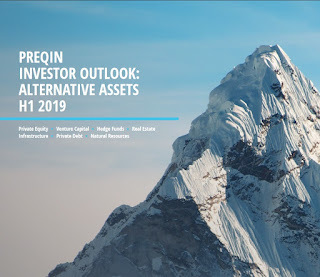 In addition to examining the Survey of Consumer Finances, it reviewed nine studies conducted between 2006 and 2015 by a variety of organizations, including academics, benefits consultant Aon Hewitt, the Employee Benefit Research Institute (EBRI) and the Investment Company Institute. Based on these reports, it concluded that one-third to two-thirds of workers are at risk of falling short of their retirement savings targets, in part because of the range of assumptions about how much income is required in retirement. The research that the GAO examined consistently showed that people aged 55 to 64 are less confident about their retirement and plan to work longer to afford retirement. However, a 2012 study by the EBRI found that about half of retirees said they retired earlier than planned because of health problems, changes at their workplace or having to care for a spouse or another family member. This suggests "that many workers may be overestimating their future retirement income and savings," wrote GAO researchers. "EBRI's model does show that a significant percentage of households will run short of money in retirement," said Jack VanDerhei, EBRI's research director. "This is because we model all the major risks in retirement." Reports like those and the GAO analysis should serve as a wake-up call about the lack of Americans' retirement savings, said Catherine Collinson, president of the Transamerica Center for Retirement Studies. Transamerica's retirement research, which wasn't included in the GAO's review, doesn't give board projections about America's retirement readiness because retirement is "a very personal question," she said. But Collinson stressed the need for more people to calculate their projected retirement needs and to plan ahead accordingly. "As a society, we cannot do enough to raise awareness about the magnitude of this problem." I've covered the pension crisis looming in the United States of Pension Poverty in great depth on my blog. It's not just a savings crisis. America's great 401(k) experiment has failed. As discussed in the article above, even people who are able to save aren't saving enough and even if they manage some savings, they remain vulnerable to a downturn in the market and don't know how to properly invest so that they don't outlive those savings. And even if they did, they will likely outlive those savings. But fret not, just like millions of Canadians will not have the luxury of living a retirement dream, millions of Americans are increasingly realizing that retirement is pure fantasy and they will have to work well past 65 to achieve any sort of retirement. Human life has reached an inflection point—one that matters a great deal for those planning for retirement. One hundred years ago, the average lifespan was about 42. That's now doubled. 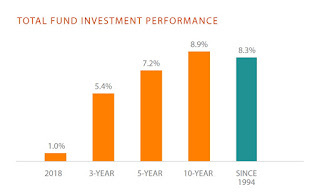 People are living longer and trying to stretch their income to make ends meet and stay ahead of inflation, but that's not the inflection point financial advisors are really concerned about—that's just the everyday blocking and tackling on behalf of client portfolios. The emerging challenge goes way beyond that. Scientists have found the mechanisms that govern aging and are already doing experiments in rats on how to reverse it. They've found species that do not die of old age, such as the jellyfish Turritopsis. "We're adding three months to life per calendar year," said Salim Ismail, former innovation director at Yahoo and founding executive chairman of Singularity University. "It's not an if, it's a when, and the point in time is in the 15- to 20-year range," said Ismail, speaking at the Exponential Finance conference in New York City on Wednesday. "In a decade or two, or three, there will be a class of people taking treatments who can live for a long time, and that affects employment planning, retirement planning ... Society will never have seen that before," Ismail said. When it comes to the rise of technology, financial advisors have been challenged by the robo-advisors, and the financial media has latched on to the trend of online investment management as an existential crisis for the advisory business. Advisors contend that the robo-advisors haven't been tested in a down market—they all launched after the financial crisis. And they can't do the hand-holding that an advisor—part therapist, part life counselor—can. But for advisors such as Ric Edelman, chairman and CEO of Edelman Financial Services—which has 27,000 clients and 41 offices in the U.S. and launched its own robo-advisor two years ago—the really critical technology challenge for financial advisors and their clients is exponential health care. 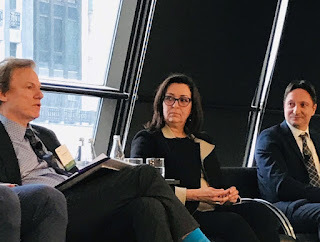 "The first person to reach age 150 has already been born," Edelman said during an Exponential Finance panel discussion on the future of the advisory business. 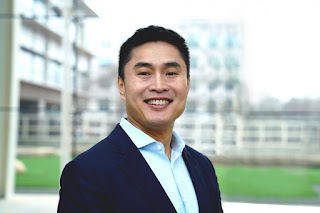 "How do I talk to a client preparing to retire at 65 using the traditional model and with planning software that only goes to age 95? The financial model is broken." Edelman said the shift from a linear to a cyclical lifeline is already starting to be seen: The average American at age 35 has already had eight jobs. "It's not going to be birth, school, job, retirement, death," he said. Soon individuals will cycle between work, school, sabbaticals, more schooling and more work in a cycle that has never before existed. "It's going to be less about money in the future and more about the future," said Bill Bachrach, chairman and CEO of financial advisory consultant Bachrach & Associates. "How do you sit down with someone in their 30s or 40s and tell them that they are going to live to 110 or 120 and haven't prepared financially for that?" Bachrach said that at first the challenge won't be that the information is overwhelming; it's that the client won't even believe what the advisor is saying, making it the most difficult and potentially costly conversation an advisor needs to initiate. "They will look at you like you are smoking crack," he said. "It's the singularity conversation, and if they think an advisor is crazy, then the advisor will lose the client." The push and pull between financial advisors and financial technology, meanwhile, is nothing new for those who have been in the business for a long time. "We've been dealing with it for decades with financial-planning software," Bachrach said. "You don't see us using a slide rule and yellow pad anymore." Edelman said the day when his firm delivers a tablet preloaded with financial-planning tools to a client by FedEx ahead of a video conference—rather than rely on its expensive and time-consuming network of 41 nationwide offices—is coming. Avatars will also be used to deliver financial counseling. "It's all those things we have to move more toward," he said. Ultimately, Bachrach said, consumers will start going to advisors and saying, "I've heard about the 'singularity,' and I may have another 40 years when I thought I would have a lot of money and then transfer that wealth to my kids. But if I live another 40 to 50 years, how do I do that?" Advisors may be able to help baby boomers massage the immediate issue, which Bachrach summed up as "boomers screwing Gen X and Gen Y again. ... 'We first destroyed the planet, and now we're stealing your inheritance.'" But no advisor or software today has the solution for the question of immortality. "It's back to human skills," he said. "I'm not sure how robo-advisors do that, but maybe they get better and better." Time is on the side of financial advisors in practicing their approach to this question. "Forget the person who lives to 150; it's the baby living to 1,000," said Ismail of Singularity University. I doubt you will see many people living till 150 years old but there will be more centennials in the future and this will place more pressure on the "traditional financial model" (whatever that is) as well as on pensions already struggling with longevity risk. Is there a better solution to America's retirement crisis? Yes but it will be one that takes great political courage to implement, especially in the politically charged atmosphere of Washington where they're still debating "big government" vs "smaller government." [...] politics aside, I'm definitely not for privatizing Social Security to offer individuals savings accounts. The United States of pension poverty has to face up to the brutal reality of defined-contribution plans, they simply don't work. Instead, U.S. policymakers need to understand the benefits of defined-benefit plans and get on to enhancing Social Security for all Americans. One model Social Security can follow is that of the Canada Pension Plan whose assets are managed by the CPPIB. Of course, to do this properly, you need to get the governance right and have the assets managed at arms-length from the federal (and state) government. And the big problem with U.S. public pensions is they're incapable of getting the governance right. The time has come for enhanced Social Security just like the time has come for enhanced CPP. Canadians are lucky they have the CPPIB which is managing hundreds of billions and doing an outstanding, albeit not perfect, job. In the U.S., there is no comparable public pension fund at the federal level which operates at arms-length from the government. There are many delusional state pension funds clinging to the pension rate-of-return fantasy, but there is no movement to transform and enhance Social Security to address America's new pension poverty. 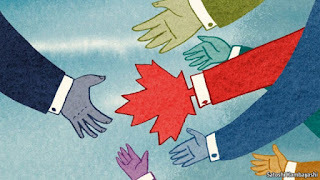 More importantly, U.S. and Canadian policymakers have to confront the brutal truth on defined-contribution plans and realize that they will never address the needs of millions of hard working people desperately looking to retire in dignity and security. And what happens to old people when they're confronted with pension poverty? Well, they live in isolation and shame, are malnourished, are more prone to get sick placing more pressure on the healthcare system which is already stretched, and they don't spend money, which is bad for consumption and government revenues. Importantly, the pension crisis will add to social welfare costs and debt, and it's very deflationary, which is something the billionaires touting the "bigger short" haven't even thought of. British tabloids were abuzz after a dramatic recent heist in London's Hatton Garden diamond district, as thieves made off with more than £10 million ($15.5 million) in cash and gems from a heavily secured vault. According to one theory, the gang used a contortionist who slithered into the vault. Others held that a thirtysomething criminal genius known as the "King of Diamonds" had masterminded the caper. But when police arrested nine suspects, the most striking thing about the crew wasn't physical dexterity or villainous brilliance. It was age. The youngest suspect in the case is 42, and most are much older, including two men in their mid-seventies. At a preliminary hearing on May 21, a 74-year-old suspect said he couldn't understand a clerk's questions because he was hard of hearing. A second suspect, 59, walked with a pronounced limp. Young men still commit a disproportionate share of crimes in most countries. But crime rates among the elderly are rising in Britain and other European and Asian nations, adding a worrisome new dimension to the problem of aging populations. South Korea reported this month that crimes committed by people 65 and over rose 12.2 percent from 2011 to 2013—including an eye-popping 40 percent increase in violent crime—outstripping a 9.6 percent rise in the country's elderly population during the period. In Japan, crime by people over 65 more than doubled from 2003 to 2013, with elderly people accounting for more shoplifting than teenagers. 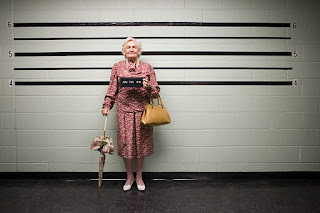 In the Netherlands, a 2010 study found a sharp rise in arrests and incarceration of elderly people. And in London, police say that arrests of people 65 and over rose 10 percent from March 2009 to March 2014, even as arrests of under-65s fell 24 percent. The number of elderly British prison inmates has been rising at a rate more than three times that of the overall prison population for most of the past decade. The U.S seems to have escaped the trend: According to the Bureau of Justice Statistics, the rate of elderly crime among people aged 55 to 65 has decreased since the 1980s. While the population of elderly prison inmates has grown, that mainly reflects longer sentences, especially for drug-related crimes. Elderly people in developed countries tend to be "more assertive, less submissive, and more focused on individual social and economic needs" than earlier generations were, says Bas van Alphen, a psychology professor at the Free University of Brussels who has studied criminal behavior among the elderly. "When they see in their peer group that someone has much more money than they do, they are eager to get that," he says. 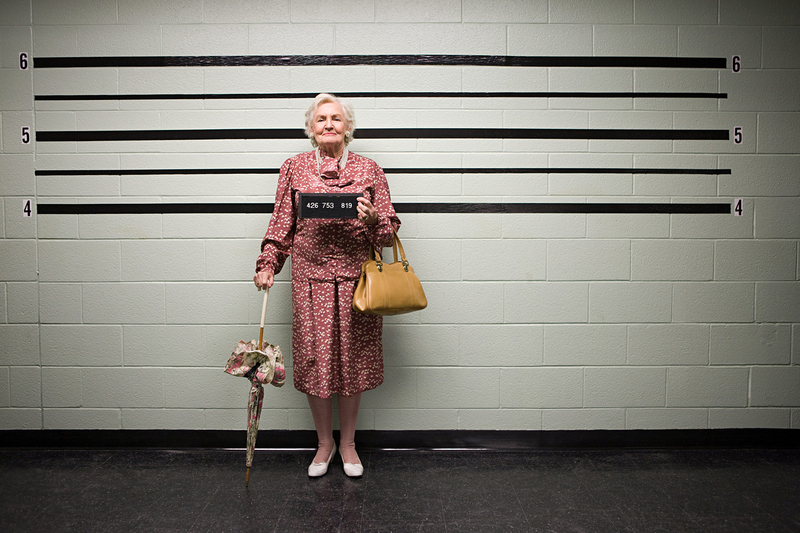 Older people may also commit crimes because they feel isolated. "I had one patient who stole candies to handle the hours of loneliness every day," says van Alphen, who describes such behavior as "novelty-seeking." Rising poverty rates among the elderly are being blamed in some countries. That's the case in South Korea, where 45 percent of people over 65 live below the poverty line, the highest rate among the 30 developed countries belonging to the Organization for Economic Cooperation and Development. "The government should make an all-out effort to expand the social safety net and provide jobs and dwellings for the elderly," the Korea Times newspaper editorialized this month, warning that by 2026 more than 20 percent of the country's population will be over 65. The "Opa Bande" ("Grandpa Gang"), three German men in their sixties and seventies who were convicted in 2005 of robbing more than €1 million ($1.09 million) from 12 banks, testified at their trial that they were trying to top up their pension benefits. One defendant, Wilfried Ackermann, said he used his share to buy a farm where he could live because he was afraid of being put in a retirement home. The perpetrators of the London jewel heist, though, were neither isolated nor impoverished. Prosecutors say the thieves disabled an elevator and climbed down the shaft, then used a high-powered drill to cut into the vault. Once inside, they removed valuables from 72 safe deposit boxes, hauling them away in bags and bins and loading them into a waiting van. Although their faces were obscured by hardhats and other headgear, the tabloids gave each thief a nickname based on distinctive characteristics seen on camera. Two of them, dubbed Tall Man and Old Man, "struggle to move a bin before they drag it outside," the Mirror newspaper reported in its analysis of the security footage. "The Old Man leans on the bin, struggling for breath." Most of the nine men charged in the case appeared to be ordinary blokes. The hard-of-hearing 74-year-old was described by his London neighbors as an affable retiree who loves dogs; the 59-year-old with a limp was said to be a former truck driver. Another defendant runs a plumbing business in the London suburbs. All nine are being held in custody on charges of conspiracy to commit burglary; they haven't yet entered pleas. Richard Hobbs, a sociologist at the University of Essex who studies crime in Britain, says the country's criminal underworld has changed dramatically in recent years. Rather than congregating in pubs or on street corners, many criminals now live seemingly ordinary lives, raising families and running legitimate businesses. They still participate in crime, but only with trusted associates. "They don't see themselves as criminals, they see themselves as businessmen," Hobbs says. That makes it easier for elderly criminals to stay in the game. Older criminals often have extensive networks to draw on for needed expertise, Hobbs says. And some essential skills, such as money laundering, don't require physical vigor. Still, geriatric crime poses special challenges. During the trial of Germany's "Grandpa Gang," the gang members described how their 74-year-old co-defendant, Rudolf Richter, almost botched a 2003 bank heist by slipping on a patch of ice, forcing them to take extra time to help him into the getaway car. And the 74-year-old had another problem, co-defendant Ackermann told the court: "We had to stop constantly so he could pee." Geriatric crime is no laughing matter and neither is the global pension crisis. When people ask me why I'm so convinced global deflation will eventually hit America, I simply state the obvious, namely, the world is incapable of dealing with underinvestment and that chronic and high long-term unemployment, rising inequality, aging demographics and the global pension crisis are all structural issues which will ensure decades of global deflation. This will place enormous pressure on public finances but nobody is paying attention. The reflationistas and economists explaining the inflation puzzle should smoke that in their pipe!! Below, a new study by Allianz Life finds 84 percent of Baby Boomers think retiring at 65 years old is unrealistic. Katie Libbe of Allianz Life provides insights and a CNBC panel discusses the findings.